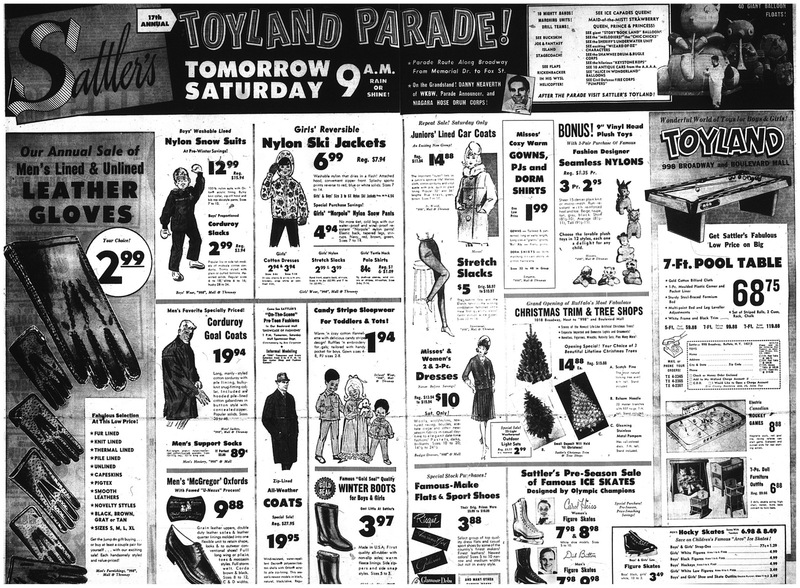 For generations of Buffalonians, Christmas didn’t begin without the Sattler’s Christmas parade and a visit to the Toys Annex across the street from good ol’ 998. 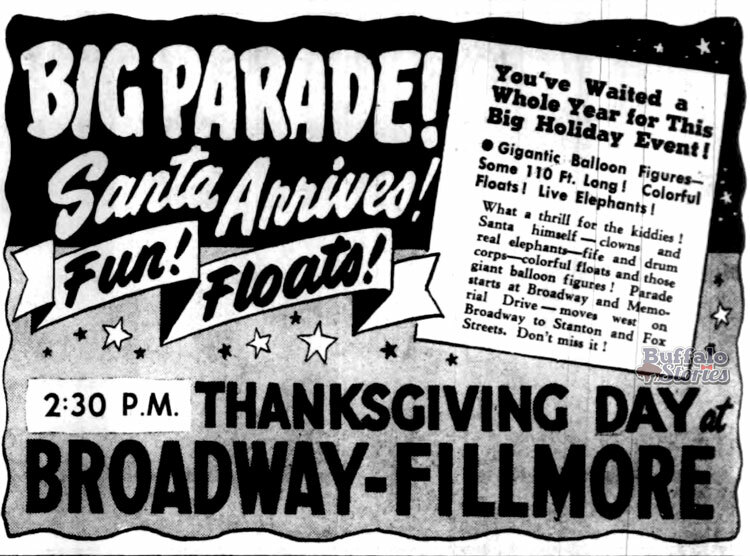 Starting in 1947, Sattler’s played host to a Santa Claus parade up Broadway that was patterned mostly after the New York City Macy’s parade — featuring gigantic balloons tethered by ropes and the big man himself as the grand finale. 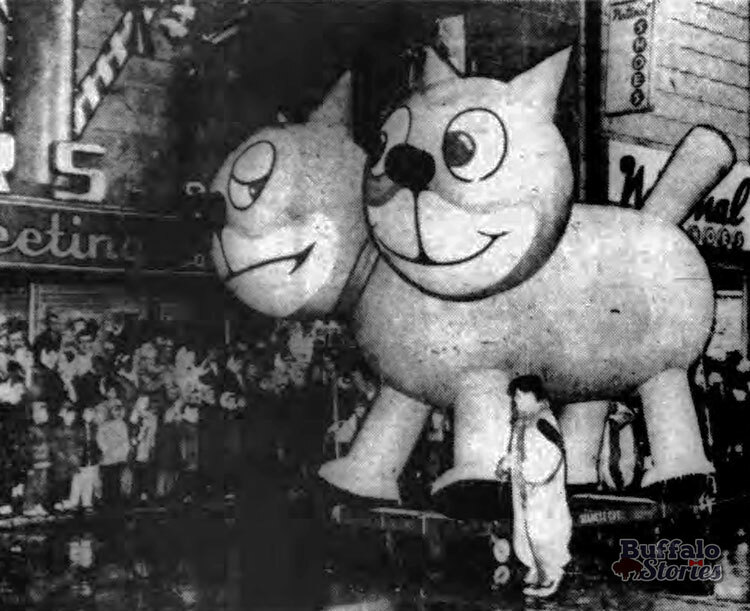 Image from the 1962 parade. 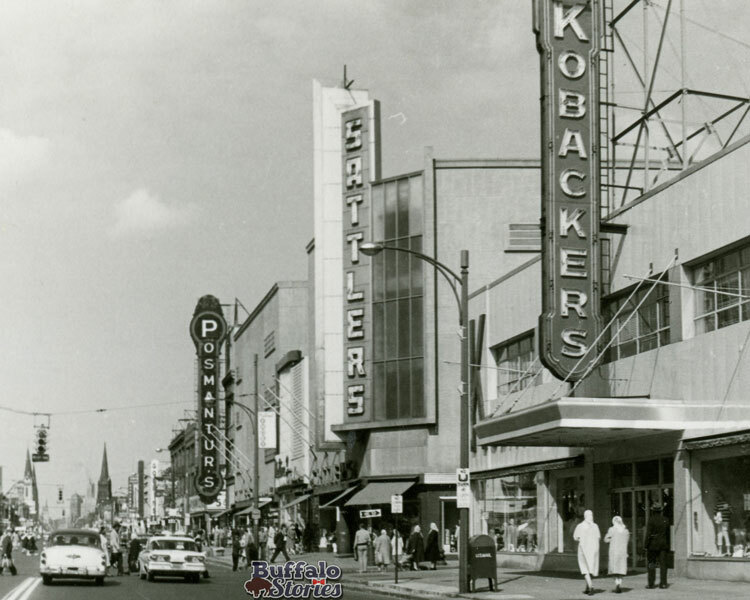 It was estimated that 40,000 people lined the parade route on a cold, snowy November Saturday for the parade in 1962. That year, there were 40 large balloons and about 20 marching units —including the Buffalo Police marching band. 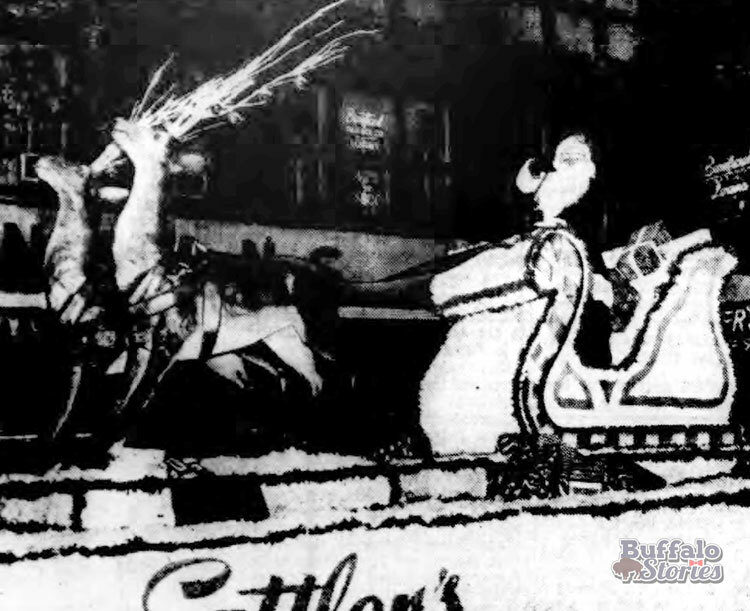 The 1964 parade was announced by WKBW’s Danny Neaverth and featured Buckskin Joe and the Fantasy Island Stagecoach. 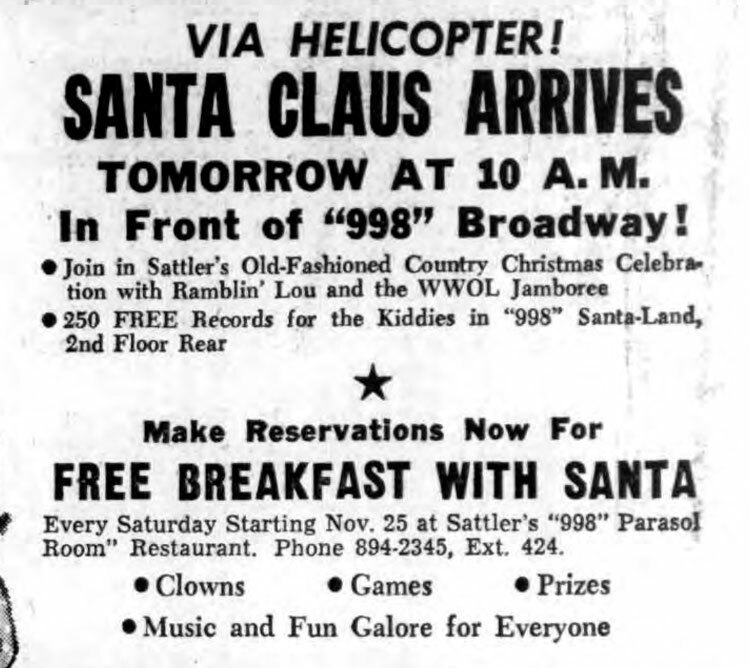 In 1967, Santa arrived at 998 via helicopter, greeted by WWOL’s Ramblin’ Lou. 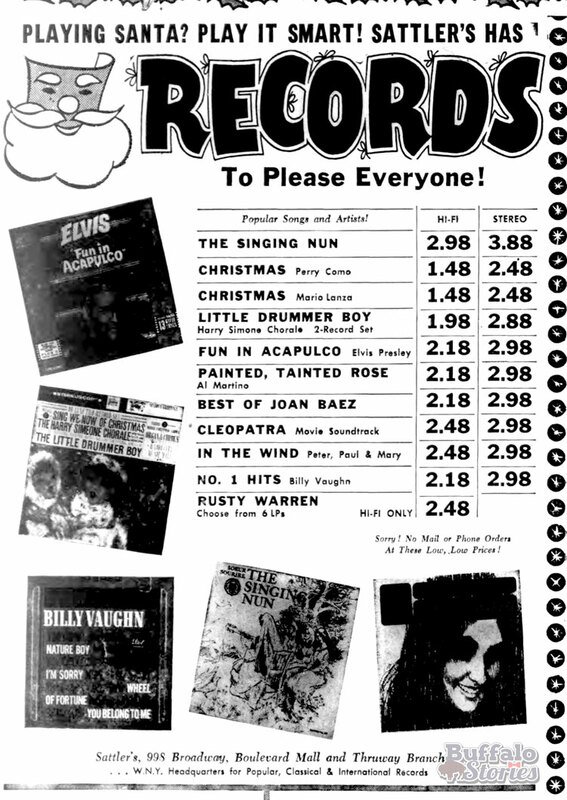 Of course, seeing Santa was great—but the real thrill was shopping for the toys which Santa might bring. 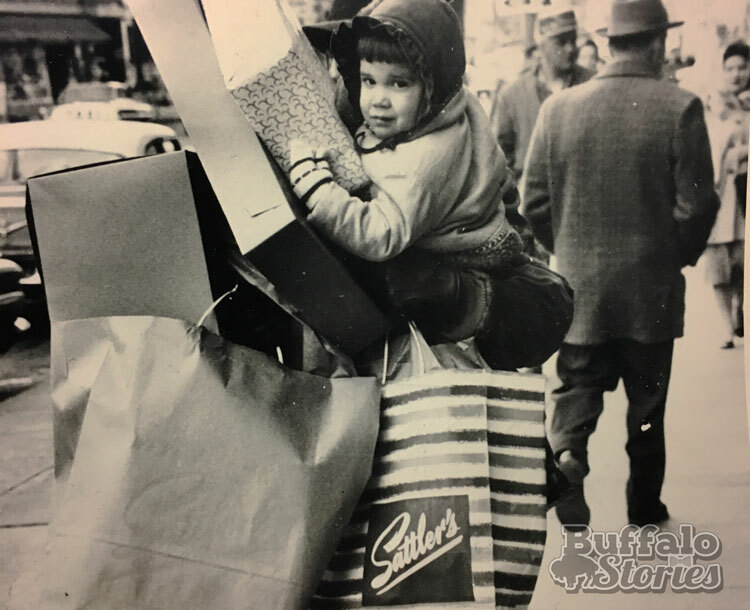 The store’s odd and interesting array of bargains, big events like their Christmas parade and that first-of-its-kind “Shop and Save at Sattler’s, 998 Broadway” jingle made the store a destination for people from all over Western New York. 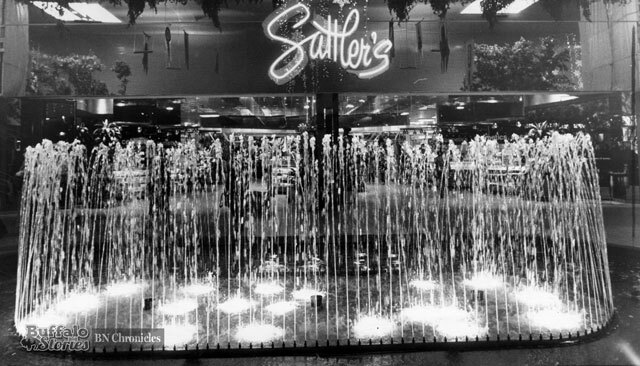 Through the 1960s, Sattler’s became an anchor tenant in a handful of Western New York’s new shopping malls. Previous Previous post: Torn-Down Tuesday: Is Buffalo home of the ice cream sundae?